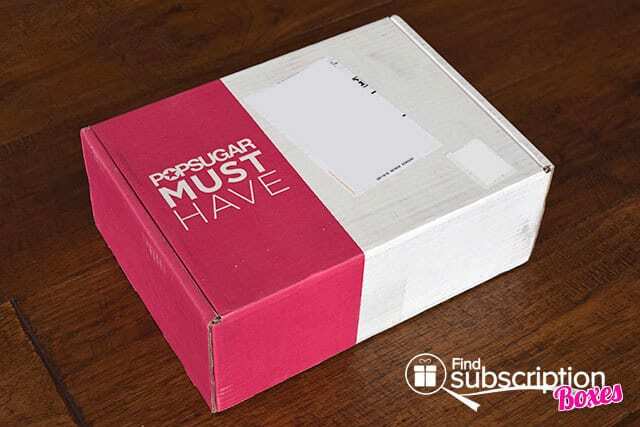 Every month, POPSUGAR Must Have Box subscribers receive a mystery box of $100+ worth of the best products in fashion, beauty, home, fitness, food, and more. With today’s POPSUGAR Must Have Box review, we’re taking a closer look at the POPSUGAR May 2015 Must Have Box. 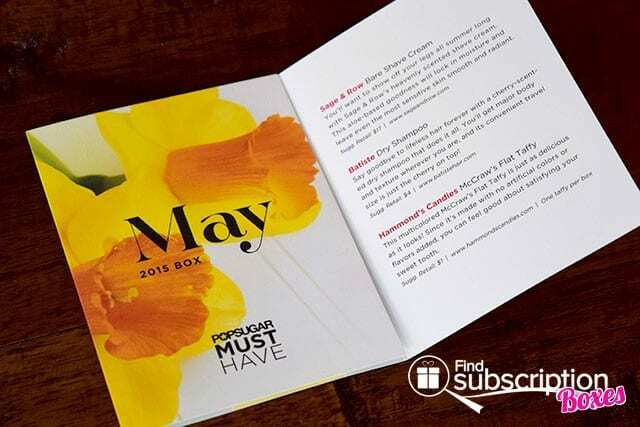 POPSUGAR Must Have includes a product card that shares that month’s inspiration and describes each of the products in that month’s Must Have Box. 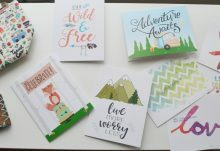 Here’s a first look inside our POPSUGAR May 2015 Must Have Box. 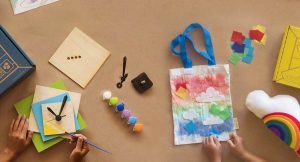 There were 6 products in our May POPSUGAR Must Have Box. Take this bright yellow and blue beach towel with you for your next outing to the beach, park or pool. Brighten up your living space with this bright coral red mini vase. This unique Y-shaped necklace makes a statement alone or with a layered look. This aloe-based shave cream will lock in moisture to help your skin smooth and radiant all summer long. Revive lifeless hair and add body and texture with this cherry-scented dry shampoo. This multi-colored flat taffy is soft, sweet, and made is with no artificial colors or flavors. The POPSUGAR May 2015 Must Have Box had great items that are perfect for enjoying Spring and Summer. 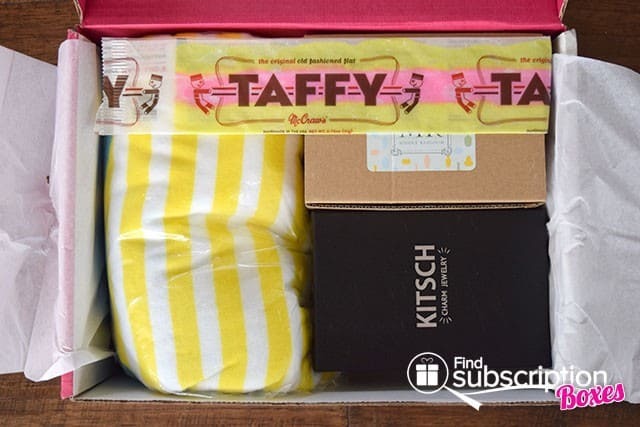 The flat taffy was a sweet treat and the colorful towel will be well-used for afternoons lakeside or at the park. We love the delicate necklace and stylish vase is just the right size for fresh blooms. The total retail value of the May POPSUGAR Must Have Box was $114. 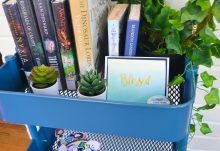 What was your favorite item from the May POPSUGAR Must Have Box? 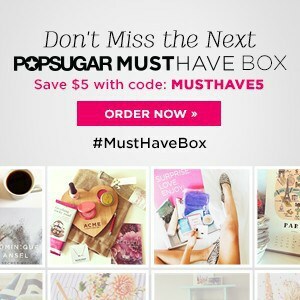 For a limited time, use POPSUGAR Must Have promo code MUSTHAVE5 to save $5 off any new POPSUGAR Must Have Box subscription.